In God We Still Trust! Just had to share this video! :) I hope you'll enjoy it as much as I did. “10 Photos to Capture” this month. 1. Leaves. Take some photos of your final pile of raked leaves. If you have kids, they’ll have a blast throwing the leaves and watching them blow in the breeze. 2. Enjoy the Scenery. Take a drive and absorb all fall has to offer. Fall trees are the most fabulous photos! 3. Go to a Nut House. No, really…go to a real pecan, peanut or walnut shop. You’ll discover the best peanut brittle on the planet and the perfect opportunity to pick up a gift basket for yourself or a holiday gift. Here in Oklahoma they have a pecan orchard near by called the Crooked Little House. I grew up going there every year for the biggest bag of cracked pecans you can imagine and it’s something I look forward to every year. 4. Get Cozy! Sweaters, mittens, hats, gloves, scarves and boots all start coming out in November! Take some photos while you’re out shopping for a fun, colorful matching set or snap some photos of sets you already have. 5. Take Time to Socialize. Get out of the kitchen! Catch up with a friend or take your visiting relative to a local coffee shop. The aroma of coffee surrounding you while sipping your white chocolate mocha, chai tea or a straight shot of espresso will definitely put you in the mood for big family gatherings. 6. Election Day. Have you ever read Ali Edwards Blog? She will usually share a layout of her husband. So, if politics are your thing get out there and get some photos of yourself voting, maybe a group of family and friends with the “I Voted” sticker on your shirt. If it is your child’s first year of being away of the elections, have them journal their thoughts about this moment in history. 7. Veteran’s Day. Take the opportunity to visit your dad, grandpa or someone else you know who has served our country. While you’re out, snap some photos to look back on later. 8. Thanksgiving Day. Almost always, my Thanksgiving photos are random, non-posed snapshots of family and friends that leave me laughing out loud when I look back at them later. Recently, I asked myself what I could do this year in order to change this horrible display of random photos and the only conclusion I could come to was not to take any photos or to get everyone together for group photos. That’s a task not easily performed when the men are yelling “Touchdown” and the women are in the middle of kitchen and kid chaos. So instead, I will just accept the fact that Thanksgiving is time for fun, family and friends and that funny pictures just go with the territory. Whether you’re hosting the Thanksgiving dinner, traveling out of state or just driving down the road to Mom and Dad’s, let the family traditions take over and expect candid camera moments. 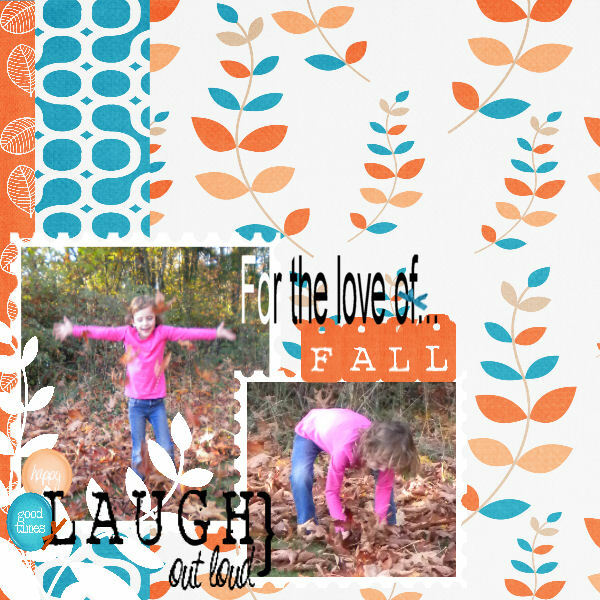 Here are some Thanksgiving ideas to capture. 9. Black Friday. Yes, Ok, I know it starts really early but really, truly I love doing this and cannot be the only one! After the kitchen is clean and all the children are asleep, all the ladies in my family gather up all the ads and make a shopping plan. I know you do this too – admit it! Be sure to document this crazy day of sales by remembering when you are half awake to take photos of your beautifully made up self at 4 a.m. in the morning and the long lines you are about to tackle! For me, this event just kicks off Christmas. When you get in your car to head out in the morning, guess what’s on the radio! Christmas music! 10. Just for fun. Snap some photos of you and your shopping adventures, surround yourself with shopping bags while you sit on a comfy chair with your feet up. Don’t forget hiding the presents and getting a head start on the wrapping! Put together wrapping parties with family and friends. Take turns hosting this event and get the dreaded wrapping completed with style! I have had a blast putting this together and hope you have an equally great time snapping all of your photos! Don’t forget to share your layouts in our gallery. I will definitely be sharing mine! Journaling on a Text Path using PSP. 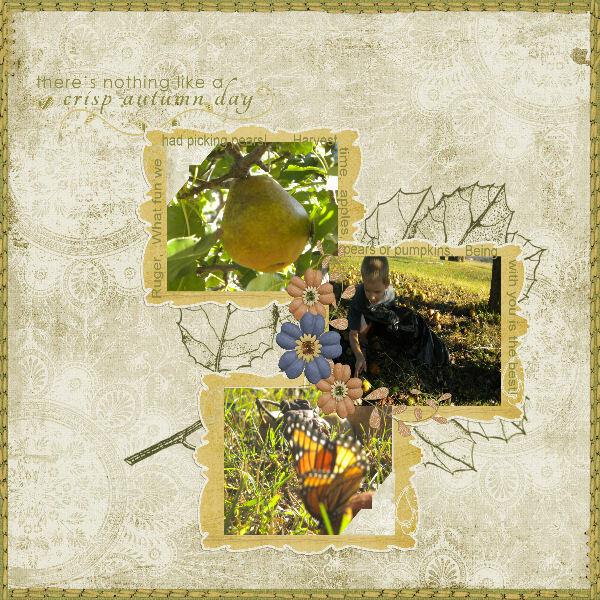 Layout created with Whispering Trees Kit at Owl Tree Studio. Learn how to journal around your photos with ease. This new kit just makes me smile!